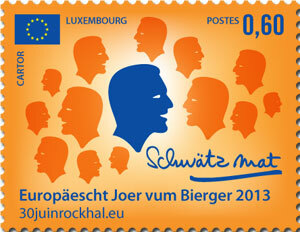 In 2013, Europe celebrates its European Year of Citizens. Since 2010, Viviane Reding has been the European Commissioner for Justice, Fundamental Rights and Citizenship. In this interview, Ms Reding explains the particular features of being an EU citizen. Ms Reding, why is 2013 the “European Year of Citizens”? “My message to people is: Be Aware of Your Rights as Europeans! Every citizen of one of the 27 Member States of the European Union is also an EU citizen. EU citizens have the right to reside anywhere in the EU. How is this regulated in Luxembourg? “Europe is what we make of it. Europe is a fantastic adventure! Within the context of the European Year of Citizens, everyone should express their opinion on Europe and be aware of their European rights.